KANSAS CITY, Kan. — Pull out that wedding gown from the back of the closet. Squeeze into that groom’s tuxedo, if you still can. You’re going to have a chance to wear them again — if you want to — at the World Marriage Day Mass next month. This annual event, jointly celebrated by the Archdiocese of Kansas City in Kansas and the Diocese of Kansas City-St. Joseph, will be held at 2 p.m. on Feb. 10 at St. Therese North, 7207 N.W. Missouri Hwy 9, Kansas City, Missouri. Bishop James V. Johnston will be the celebrant and Archbishop Joseph F. Naumann will be the homilist. Registration is not required and there is no cost to attend. Following the Mass, there will be a reception in the Wooldridge Center. Families are welcome to attend. Appropriately enough, World Marriage Day takes place right in the middle of National Marriage Week, Feb. 7-14. 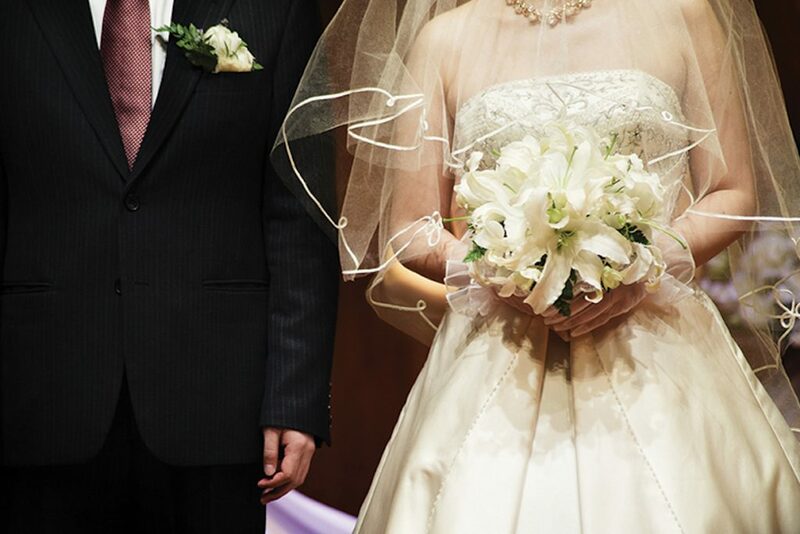 Many organizations and faith communities celebrate both World Marriage Day and National Marriage Week, including the U.S. Conference of Catholic Bishops. Both events are opportunities for Catholics “to focus on building a culture of life and love that begins with supporting and promoting marriage and the family,” wrote Archbishop Charles J. Chaput, OFM Cap., chairman of the USCCB Committee on Laity, Marriage, Family Life and Youth. Many kinds of benefits come from marriage — economically, personally, socially and spiritually, said Deacon Zimmerman. Unfortunately, many people in our society, and especially young adults, are not getting married. The answer is that today’s young adults have seen or experienced divorce and the breakup of families at a high rate. They’re not so sure marriage works, so they opt to simply “live together,” even though they may actually want to get married. “What we’re trying to do is witness that marriage is a joyful, wonderful way of life that allows you to be with the person you fell madly in love with and help lead each other to God,” said Deacon Zimmerman. But the joy of marriage doesn’t just “happen,” he added. Couples need to do a little work. Strengthening the vocation of marriage and family life is one of Archbishop Naumann’s key three initiatives of the archdiocesan mutually shared vision. So, to that purpose, the office of marriage and family life wants archdiocesan Catholics to know about the many things they can do to “work” for their marriage — especially during National Marriage Week. Resources for strengthening your marriage can be found at The Joyful Marriage Project on the archdiocesan website. This will take you to The Joyful Marriage Project page. In the upper right corner of the page, click on the red button “Upcoming Events” to open a page with the categories “Ongoing Opportunities,” “Monthly Opportunities,” and specific event links for the next three months.The page will be periodically updated with links to activities listed by the U.S. bishops as they become available.